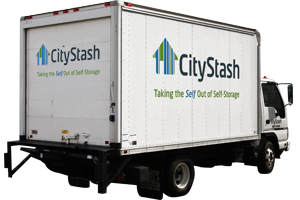 How Does CityStash Storage Work? We Pick Up. We Store. We Deliver.TM We do storage differently. 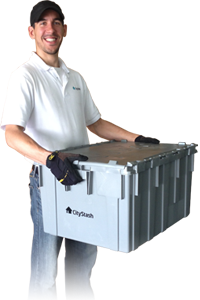 With CityStash Storage, you pay monthly rent on a per-item basis, and you only pay for the space you actually use. Best of all, we do the work, and you just relax in your decluttered space. Click on the “Get Estimate” or “Order Now” buttons to get started. Choose the empty boxes/containers you’d like us to deliver and the other items you’d like to store. If you’re ordering our empty boxes or containers, choose the date and time you want them delivered, not the date you want everything picked up. You will choose a pickup date on a later order. Our Containers: made of heavy duty plastic, we deliver them free of charge. There is no cost for the containers other than the monthly rent. We lock them for added security. Our Boxes: we deliver them free of charge. There is no cost for the boxes other than the monthly rent. Your Boxes and Containers: we will happily store boxes and containers you already own. Choose the “Your Box or Container” most similar in size to the box you own. Furniture: choose from our standard list, or choose a Custom Item for furniture not on the list. Almost Anything Else: If you want to store something not listed above, choose the Custom Item that most matches its size. Call us if your item is larger than the Custom Item 5. We’ll deliver our empty boxes and custom storage containers to your living room on the date and time you specify, free of charge. We’ll call you on the delivery day to confirm our arrival time and give you the phone number for the delivery team in case you need to contact them. We are definitely NOT the cable guy. Pack on your schedule. Keep our boxes and containers for up to seven days to pack rent-free, and create an inventory in your online account for easy retrieval of individual items later on. Be sure to carefully pack your items to withstand normal handling, transportation, and storage. See our FAQ’s for the weight limits for our boxes and containers. Prohibited items include liquids, perishables, explosives, and all illegal substances. You can stash your stuff, but you can’t stash your stash. Schedule a pickup through your online account. 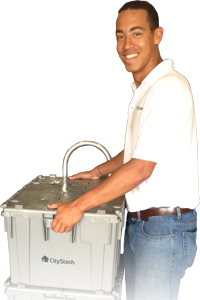 We’ll pick up your boxes, containers, furniture, and just about anything else you need to store and safely transport them to our climate-controlled facility. Don’t worry if you need to add or subtract items from your order; we adjust the order on the fly during the pickup. Our experienced technicians will wrap your furniture with moving blankets and cover mattresses in plastic bags for protection during transport and storage. We provide security seals for our containers, and we safely transport your stash to our climate-controlled facility. There is a flat $35 Pickup Fee the first time we transport your items to our San Francisco and Washington, DC storage facilities. Here’s the best part: you can retrieve any individual item or your entire stash on demand. Need your box of summer clothes? Simply schedule a date and time through your online account, and we’ll redeliver that box to your living room. 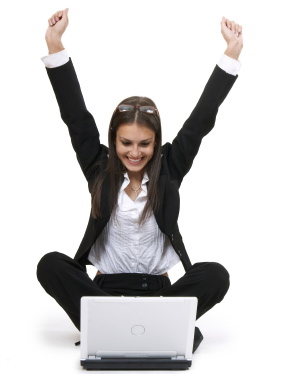 There is a flat $35 fee any time we deliver any or all of your items back to you. A Service Fee will apply if you take your items out of storage before paying 3 months of rent. Our business model is built around long-term storage rather than moves, and the Service Fee helps us keep our storage prices low for long-term storage customers. Make sure to empty your containers and have them picked up before your due date to avoid paying another month’s rent. There are no other hidden fees. It’s that simple! We will bill your credit card for your first month’s rent on the day we pick up and store your items or seven days after the initial delivery of your empty containers and/or boxes, whichever comes first. 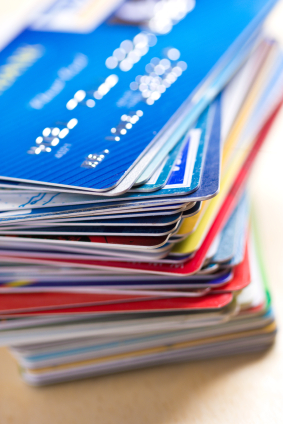 Thereafter, we will automatically charge the monthly rent to your credit card on file. If you wish to terminate your service, please schedule a redelivery of your items, unpack the containers, and schedule a final pick up of the empty containers prior to the end of your billing cycle to avoid paying another month’s rent. Note: we do not prorate rent.